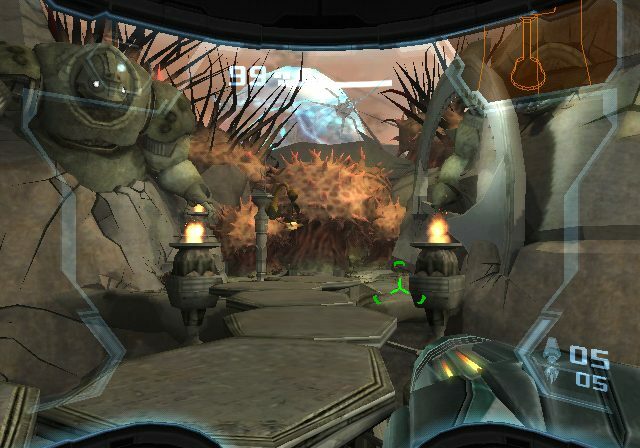 Metroid Prime 3 Corruption - GameSpotting! Posted on September 14, 2006 by MASA. Yeah that’s right, a new metroid prime. They couldn’t stop making money. aahhahahahaha. Anyway, The Galactic Federation’s network computer, Aurora Unit, is suddenly corrupted with a virus. The Federation believes Space Pirates are to blame when the Galactic Federation is soon attacked. Samus and other hunters go gung ho and leap to the Federation’s defense. But it isn’t space pirates….it’s Dark Samus who is now bigger and better and can kill you just by touching you or missing you by like 5 feet. So it’s for the wii? What is special about it? 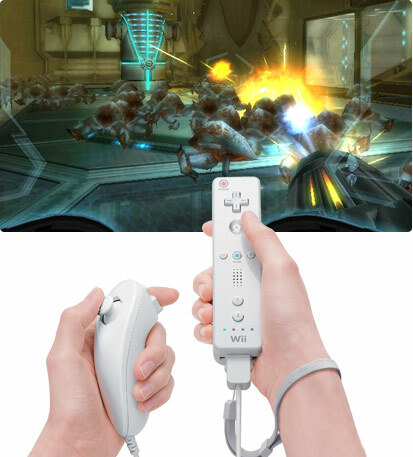 You move by moving the nunchuk controller and aim the gun with the WiiMote. And once again you can have the fun of actually acting like you are in the suit with no more crappy locks that make it so you can’t shoot down or fall and machine gun. It’s the real physics deal. And a new Phazon system will be featured in the game as well. Which can allow Samus to go into hyper mode (which you can probably guess what you can do). But over fill the meter and well…you…die. UPDATED: Six months have passed since the events on the planet Aether. The Federation believes Space Pirates may be behind the problem and, beginning with Samus, starts to contact bounty hunters. As they explain the situation to the assembled hunters, the Federation is attacked by the pirates. Samus and the other hunters leap to the defense of the Federation capital, only to find that the enemy the hunters face is the presumed-dead Dark Samus. Dark Samus is armed with immense power that no one can withstand. It soon becomes obvious that the forces controlling Dark Samus and the terror of the contaminated Phazon are a dire threat that could corrupt the entire universe.